Leonardo DiCaprio – Marketing Wizard for Mother Earth? 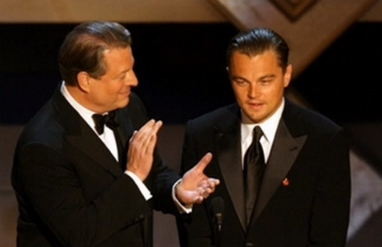 Leo DiCaprio wins an Oscar – new status expands his “Global Warming” cause marketing reach. No doubt, Leo is and has been one of the world’s leading actors for quite some time. His talent is obvious. Like other famous stars, and famous corporations, he has put a lot of energy into marketing various causes for the greater good of humanity, not a seemingly bad thing for individuals or corporations to do. 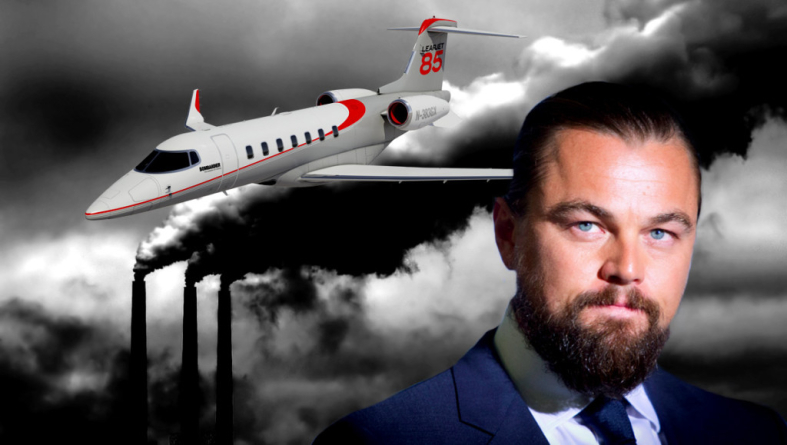 With his top tier status, Mr. DiCaprio now has a platform voice to help make planetary change. His passion for cause marketing – climate change. Below is this year’s acceptance speech and climate change marketing pitch. I like Leo and believe he is quite intelligent and having his attention on this “HOT” issue can help move discussions forward. Is he correct and an expert science based meteorologist providing quality solutions that can address the problem? It does not appear so. Bringing attention, funding and awareness to large scale issues is a good thing and helps those souls dedicating their lives to such issues. He should be applauded for his efforts, right or wrong. 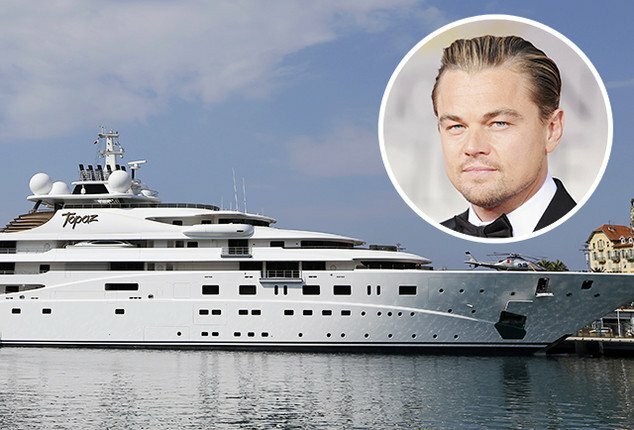 With a net worth well over 200 million, the 41 year old Leo DiCaprio’s wealth affords him luxuries Robin Leach would drool over. Numerous high end homes, fancy cars and yes – private jet airplanes. Similar to politicians telling us to not carry firearms while simultaneously surrounded by armed bodyguards, it makes it a bit more difficult to hear celebrities true messages when they are personally egregiously violating the very thing they extol. 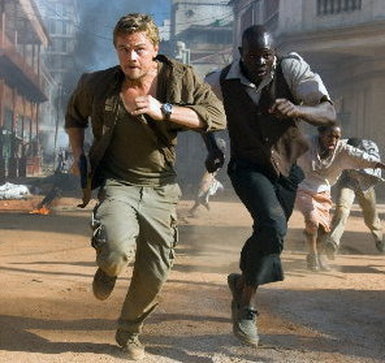 A few years ago, a South African acquaintance told me while filming Blood Diamonds, Leo rented one of her friends estates. She said her friend initially refused the offer from his minions, but then Leo himself actually arrived at her home and spent a few hours selling her into the idea. After his extended stay, he left the home in perfect condition and her friend feeling he was a truly remarkable, kind and caring person. It’s nice to hear these off the beat anecdotes that verifies the public persona. LIke all of us, apparently Leo just needed extra space for relaxation during breaks from hard work. 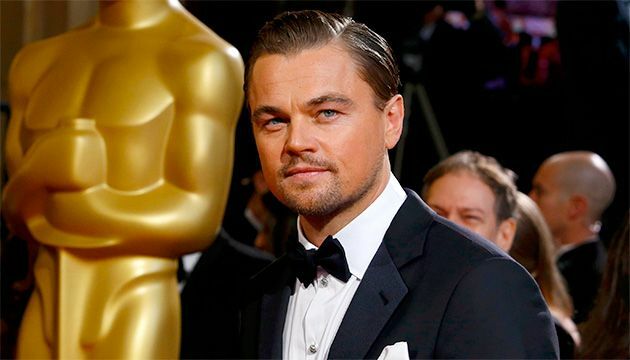 Now that he has won an Oscar – he is and always will be included in rarefied Hollywood air.This gives his cause marketing an even greater boost. Our company – Buzzazz.com – does cause marketing as well. Our choice has been to help support Human Rights activities that assist the world’s children becoming better educated to the dangers of drugs. Please visit www.drugfreeworld.org for more info. Not on the same grand scale as Wal-Mart or Leo DiCaprio, yet over the past 30 years, we too have invested time and money as best we can. Our actual percentage of gross sales in this area is probably much greater than them both. Yet since we do not have the same audience appeal, our effective reach is obviously not quite the same. With his choice to loudly broadcast his cause awareness Leo can easily now become a target for being a giant of hypocrisy. Since I believe none are 100% perfect, I prefer to view Mr DiCaprio’s efforts as worth supporting. I grew up in the Chicago area on a small lake in the farmlands of Indiana. Summers in the water, winters on top of the ice playing hockey. Since the 60’s, the number of “hockey days” has greatly reduced. Most of us are aware that there has been tremendous changes in the weather patterns over the past few decades. Is it cyclical, quickly diminishing or simply part of earth’s normal patterns of change? I’ll leave those decisions up to true experts. But in the meantime, i’ll do what I can to lower my carbon footprint, and encourage others to do the same while simultaneously supporting good solutions that benefit us all. Now that Leo DiCaprio and Al Gore through their cause marketing efforts have helped all other people around the world become well aware of climate change, we simply need proper teamwork with expert leaders in this arena that can be properly funded and supported to create workable solutions all humanity can easily and quickly get behind.